The World Cup is about to begin in Russia with the world’s sports stage about to be taken up by soccer teams from around the world. All of them will be clad in gear provided by leading sports manufacturers, but one of the world’s biggest, Nike, will not be providing cleats for the Iranian regime’s soccer team. 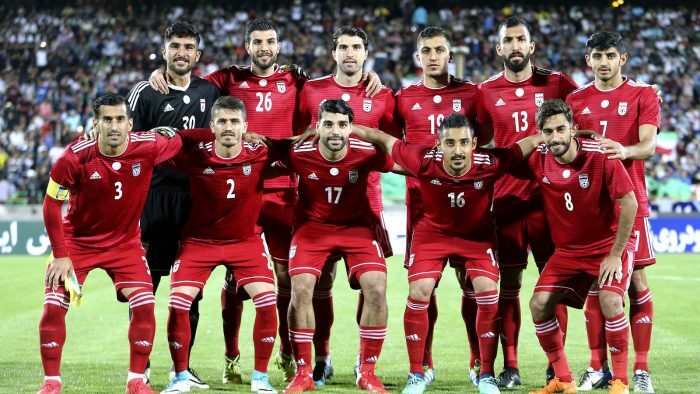 On the eve of facing its first opponent in Morocco, Iranian players won’t be wearing Nike footwear after the U.S.-based sporting giant announced it would no longer supply the Iranian team because of new economic sanctions put in place by the Trump administration. “The sanctions mean that, as a U.S. company, we cannot provide shoes to players in the Iran national team at this time,” Nike said in a statement. The decision was accompanied by new economic sanctions. The U.S. Treasury can impose a penalty of up to $1 million and 20 years in prison against any company or person who violates the sanctions. Predictably the Iran lobby spewed with rage at the perceived injustice with the National Iranian American Council leading the charge. “I haven’t gotten clarity on what legal basis [Nike] is using to say this. They should reference what part of the sanctions they are talking about since technically they’re not selling anything,” said Trita Parsi, head of the NIAC. The next incoming head of the NIAC, Jamal Abdi, chimed in as well in a press release issued by the NIAC. “This flies in the face of any claims by the Trump Administration that it is targeting the Iranian government and not the Iranian people. We are well aware that the President’s National Security Advisor, John Bolton, has openly called for the U.S. to take steps to target even sports exchanges with Iran and may relish this shameful situation. Nothing symbolizes the wishes and hopes of the Iranian people more than their national soccer team. And nothing unifies them more than when that team is unjustly targeted and insulted,” Abdi said. It shows just how far the influence of the Iran lobby has fallen now that President Trump has withdrawn from the Iran nuclear deal and has placed North Korea negotiations front and center of the global debate when the NIAC is reduced to begging for shoes for the regime’s soccer team. It’s worthwhile recalling some of the lowlights for the Iran lobby and regime when it comes to sporting events which the Parsi and Abdi have conveniently forgotten about; namely, that regime has historically banned women from even attending and watching sporting events such as soccer, swimming, and wrestling. Many Iranian women who are fans often resort to wearing beards and disguises to gain entry and cheer on their team. If they are discovered, it often leads to jail time. Since 1979, women athletes have been subject to strict requirements when competing in Iran or abroad, with the Iranian Olympic Committee stating that “severe punishment will be meted out to those who do not follow Islamic rules during sporting competitions”. The committee banned women athletes from competing in Olympic events where a male referee could come into physical contact with them. At 1996, 2000, 2004 and 2008 Summer Olympics combined, a total of six women represented Iran. Dorsa Derakhshani, 19, an Iranian chess grandmaster champion who grew up in Tehran, was forced out for choosing not to wear a hijab and now plays for the U.S. Chess Federation. In many cases, especially women, the Iranian regime has often chased away its best and brightest in favor of maintaining the archaic nature of the theocracy’s laws. These issues are never mentioned by the Iran lobby nor do they earn condemnation by the NIAC, which instead chooses to attack the issue of sanctions, by using the plight of the men’s soccer team as a PR tool. The underlying concern for the Iran lobby is what the refusal by Nike represents, which is worry that the new sanctions imposed by the Trump administration will be deeper, harder and more effective than those that originally drove the Iranian regime to the nuclear bargaining table in the first place. If sporting manufacturers are opting to stay from potential sanctions for participating with Iran, what does that say about heavy industries the regime’s economy and military depend on such as electronics, steel, petroleum, chemicals, and manufacturing? The worry for Parsi and Abdi is that if other companies, including those in Asia and Europe, take these sanctions by the Trump administration more seriously, the Iranian regime could soon find its faltering economy knocked flat on its back which would pose significant threats to the rule of the mullahs in light of widening protests by ordinary working-class Iranians over the terrible economic conditions they are now facing. While Abdi tries to frame the debate around noted hawk John Bolton, the reality is that he worries that the tough stance President Trump is taking, especially in recent trade talks, demonstrates his willingness to go after any company that engages in trade with Iran. This is why regime leaders such as Hassan Rouhani have worked hard in an effort to preserve economic ties with the European Union following the U.S. pullout from the nuclear deal, but that effort looks increasingly like a failure as more and more private companies reassess their potential risk and weigh the disadvantage of doing business with the Iranian regime against the potential for crippling sanctions. One example of the impact of U.S. sanctions was in the case of Chinese telecommunications giant ZTE Corp which was on the verge of extinction because of sanctions stemming from its illegal trading with Iran and North Korea. Only after President Trump ordered a review and ZTE paid a whopping $1.4 billion fine and turned over its management and board did it manage to cling to life. The example was unmistakable for any company deciding to do business with the Iranian regime, even more, a shoe manufacturer. 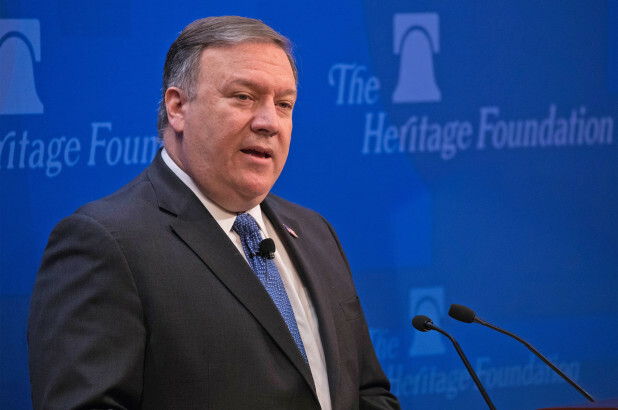 In a landmark speech to the Heritage Foundation, U.S. Secretary of State Mike Pompeo laid out the Trump administration’s new policy towards the Iranian regime including a list of a dozen conditions the mullahs would need to address to move forward with the U.S. in a new relationship. Chief among those conditions was a new requirement that the Iranian regime would have to stop enriching all uranium and supporting militant groups such as Hezbollah and the Houthi; conditions that the Obama administration had tossed aside in its haste to nail down a nuclear deal with almost no pre-conditions. 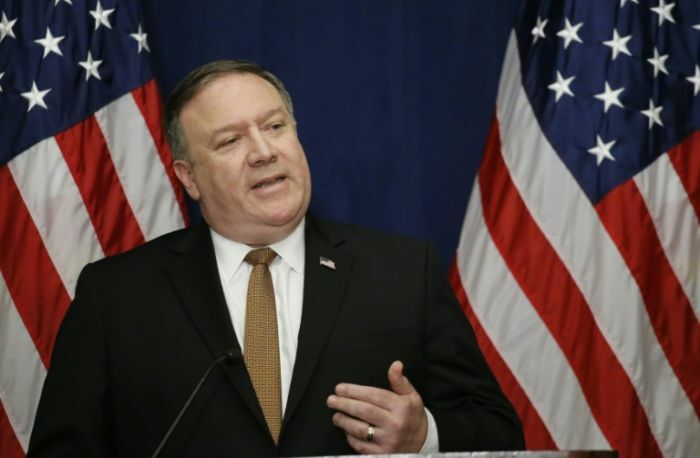 In exchange for accepting these new conditions, Pompeo laid out the U.S. would lift punishing economic sanctions, restore diplomatic relations, open up commercial activity and give Iran access to advanced technology it badly needs to revitalize its economy and infrastructure. 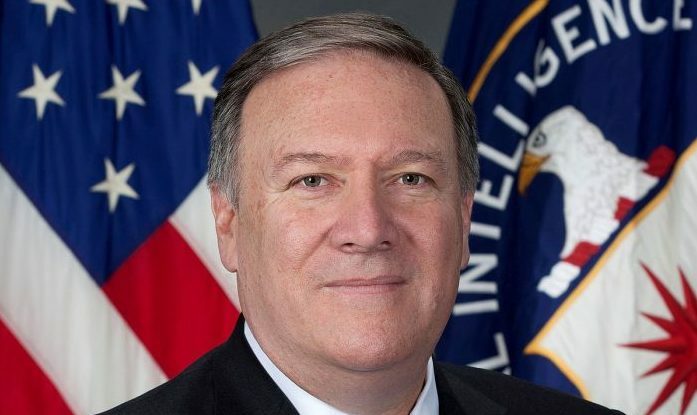 The policy as laid out by Pompeo essentially resets the clock to the period before the Iran nuclear negotiations ran off the rails when crushing and comprehensive economic sanctions from countries around the world had dragged the Iranian regime kicking and screaming to the bargaining table where the Obama administration promptly gave away the proverbial house. If this was a game of high stakes poker, the Obama team folded even before the flop, paying the price of the ante, but never seeing the hole cards. Of course, the idea of a new, revised agreement that finally corralled the regime’s worst instincts was greeted with skepticism by European leaders. Boris Johnson, the British foreign secretary, said the U.S. decision to fold all of its disputes with Tehran into a “jumbo Iran treaty” would be very difficult to achieve “in anything like a reasonable timetable,” according to the Wall Street Journal. Federica Mogherini, the European Union’s foreign-policy chief, insisted the Iran agreement President Trump had abandoned remained the best way to contain Tehran’s nuclear efforts and said the EU would support it as long as Iran did. “The deal belongs to the international community,” she said. But the new policy articulated by Pompeo is a clear demonstration of what should have been on the table in the original negotiations back in 2015. 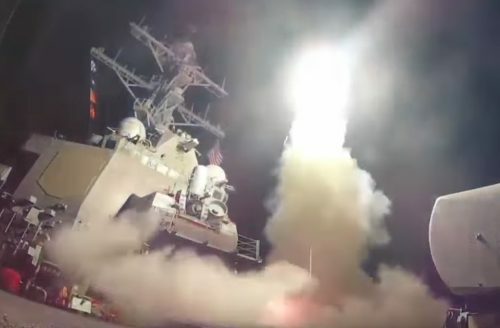 If the U.S. had exercised its leverage at that crucial moment, the devastating wars in Syria and Yemen may have never taken place. Predictably the National Iranian American Council led the braying chorus of naysayers attacking Pompeo’s speech and leading the charge was Jamal Abdi, recently anointed as the new president for NIAC. 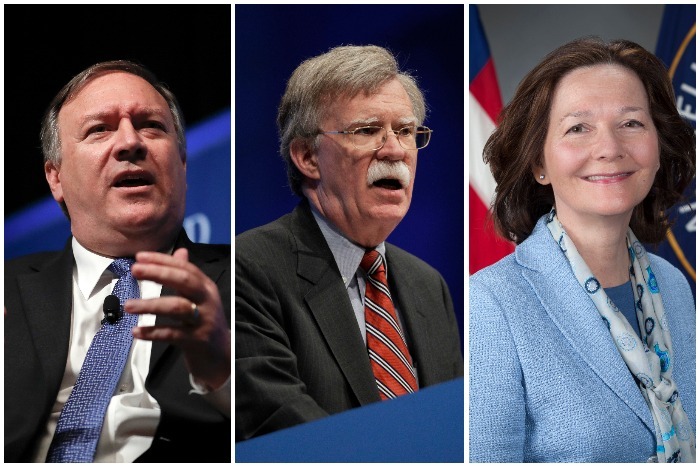 “The Trump Administration is setting the stage for a war of choice with Iran, with Mike Pompeo offering a smokescreen of diplomacy to distract from the administration’s pursuit of Iraq-style regime change,” Abdi said in a statement released by NIAC. Abdi may be replacing Trita Parsi, but the rhetoric and misstatements are still the same. NIAC once again trots out the war fears in a false flag effort to convince Americans that the president wants to wage war against Iran; forgetting that then-candidate Trump was the one of the first on the campaign trail to criticize the Bush administration’s decision to invade Iraq and has been reluctant to commit U.S. combat troops to any new escalation, especially during the bloody Syria civil war. Abdi of course neglects to mention that Iranian regime was responsible for the escalation that killed over 400,000 people in Syria, when it shipped Hezbollah fighters, then its own Revolutionary Guards to fight there. Abdi doles out the same tropes the Iran lobby has used before, but now they ring hollow with the benefit of hindsight. The three years since the deal have shown how an unrestrained Iran has radically reshaped the Middle East and resulted in deaths from the Mediterranean to the Indian Ocean and the essential failure of the promises made by NIAC and the Iran lobby: the nuclear deal did not moderate the Iranian regime but unleashed it. Now that Iran’s economy is reeling from corruption, mismanagement and diversion of billions of dollars to its military and terrorism, the mullahs in Tehran are under enormous pressure from mass protests across the country since last December, which is why the Trump administration views this as an opportunity to reset the situation and bring about a more comprehensive deal. In his own unconventional style, President Trump sees an opportunity here to correct what the previous administration fumbled and the Iran lobby has been rendered largely impotent in trying to stop him. Iran’s currency, the Rial, is on a skydive plummet downward to historic levels and poses the most significant threat to the stranglehold the mullahs have had on the Islamic state. Pegged to the price of petroleum, the Rial has been rocked by the global glut of oil and a stagnant economy riven through by rampant corruption and the diversion of billions of badly-need dollars to fund wars in Syria, Iraq and Yemen as well as a massive military build-up including a ballistic missile program. Now as Iran has been gripped by rising political tension with massive demonstrations sweeping across the country since last December, there has been a rush to the banks as Iranian citizens desperately try to cash out and swap to scarce U.S. dollars in a scene reminiscent of bank runs during the Great Depression. The Rial has bled away a third of its value just this year alone with an exchange rate of 60,000 Rial to a single dollar. The track record for the mullahs in fiscal management is pretty rancid ever since the Iranian revolution in 1979 when one dollar bought 70 Rials. Since Hassan Rouhani assumed power in 2013, 36,000 Rials equaled one dollar. The drop in value is as much a reflection of Iranians lack of confidence in their government as it is of an economy that is nearing Third World status. The mullahs have reacted in their typical brutal manner setting an official exchange rate of 42,000 Rials to the dollar in an example of wishful thinking. To enforce that rate, the mullahs have promised harsh punishment including arrest for anyone trying to exchange Rials at a different rate than the one established by them. 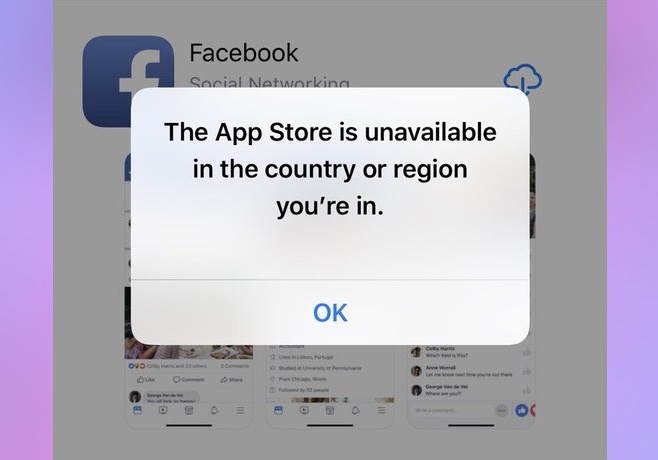 The crisis is driven by an inability to access physical currency notes, which are estimated at only five percent of all foreign currency in Iran, while the rest is available in the form of credits for business and the government. Long gone it seems are the images of pallets loaded down with dollars and euros being unloaded from airplanes as part of the ransom payment made by the U.S. in exchange for U.S. hostages as part of the Iran nuclear deal. That nuclear deal has failed to deliver the benefits promised by Rouhani to ordinary Iranians; instead the regime has siphoned the economic relief it brought to state-owned industries and the powerful Revolutionary Guard Corps. It has also failed to generate the flood of foreign investment promised by Rouhani with many foreign companies unwilling to risk capital in investments in Iran when the U.S. has contemplated additional sanctions for the regime’s abysmal human rights record and its involvement in the support of terrorism and the war in Syria. The use of chemical weapons repeatedly by the Assad regime against its own citizens has also ostracized Iran for its support of Assad and the heavy use of Iranian military units in the conflict. The sponsorship of the revolt in Yemen and support of Houthi rebels has also ignited another potential regional conflict with Saudi Arabia and brought the U.S. and Russia into contentious situations that could possibly start a wider war rattling any potential investors. Other efforts by the Iranian regime to bring in more foreign currency include trying to increase oil production in order to generate more sales overseas, but that has been stymied by fields utilizing outdated equipment and failure to attract any significant foreign partners to develop oil fields. 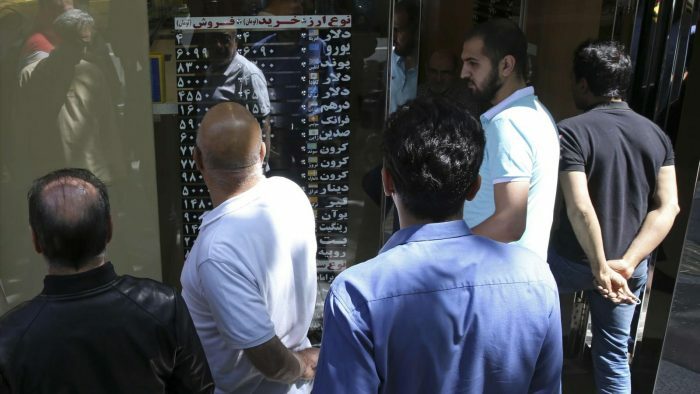 “This currency crisis is another step in the collapse of the Iranian economy, which was expected to rebound after the signing of the nuclear agreement. Difficult economic conditions brought protestors to the streets in a number of Iranian cities earlier this year, however those protests were quelled by the government. It is important to continue watching the economic situation in Iran, because historically economic issues have typically led to the most significant political unrests in that country,” wrote Ellen R. Wald, a historian and scholar at the Arabia Foundation. The regime hasn’t been helped by action this week by the European Union to extend sanctions on Iran over human rights violations in an effort to demonstrate its willingness to the Trump administration to hold Iran accountable, while trying to preserve the nuclear agreement. France has pushed for new sanctions over Iran’s missile program and involvement in conflicts in the region, including in Syria where Tehran backs President Bashar al-Assad. Paris hopes that would show President Trump the EU takes his concerns seriously. The Foundation for Defense of Democracies, offered in an editoRial in The Hill that the collapsing Rial represented an opportunity to apply even more pressure on the regime. “The White House should re-impose sanctions on the Central Bank of Iran to vindicate currency traders’ fear that it now plans to inflict serious damage on Tehran’s economy,” they write. “Based on our analysis of the Central Bank data, Iran’s currency has lost roughly half of its value, 46 percent, falling from 40,170 to 58,880 per dollar, since Trump put the future of the nuclear deal in doubt last October. The Iranian economy looked particularly wobbly amidst protests in December when Iranians took to the streets to protest the regime-controlled banking sector, and lack of economic opportunity and political freedom,” they added. They believe that additional pressure on Iran’s Central Bank could be the nudge necessary to send it into collapse and bring down the regime. “Under the sanctions law applied prior to the nuclear deal, foreign financial institutions are generally prohibited from engaging in transactions with the Central Bank. In effect, the Bank’s foreign-held accounts are put on lock down, barring the regime from accessing its foreign exchange reserves. On paper, Iran may get paid for its oil but the money sits in the purchaser’s country and is only available for Iran to buy goods from that country in the local currency. Without access to these reserves, the regime would find it much harder to defend the Rial,” the article said. The proverbial hammer blow this would deal to the regime is significant since the Central Bank provides the funding for the Revolutionary Guard Corps and supplies the cash for its activities in Syria, Iraq and Yemen. The irony is that the regime can be crippled without canceling the nuclear deal as the Iran lobby has feared and instead using the Rial as a leveraged weapon against the mullahs by hitting them where it hurts; wiping out popular support from the Iranian people. Remember, the original revolution against the Shah was largely fueled by economic concerns before it was stolen by the mullahs. Wouldn’t it be delicious to see the same thing happen to them? The Financial Action Task Force (FATF) is an inter-governmental body made up of 35 countries and two regional governing groups setting standards to promote effective implementation of legal, regulatory and operational measures combating money laundering, terrorist financing and other related threats to the integrity of the international financial system. The FATF monitors the progress of its members in implementing necessary measures, reviews money laundering and terrorist financing techniques and counter-measures and promotes the adoption and implementation of appropriate measures globally. The FATF serves as a crucial watchdog then against the spread of global terrorism through the transfer of funds through the international banking system. Chief among its current assignments is to monitor North Korea and the Iranian regime. 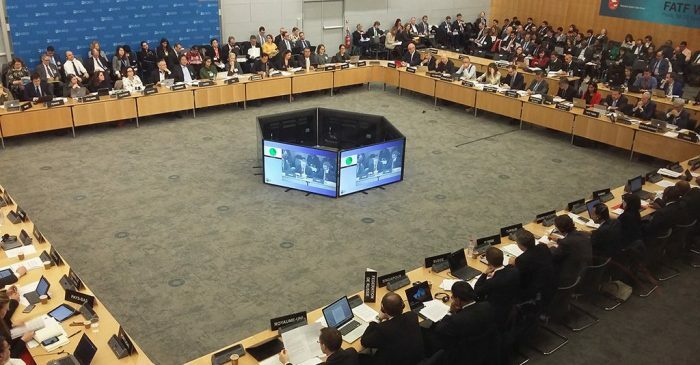 As part of its monitoring of Iranian regime, the FATF provides periodic updates on the action plan the regime pledged to follow as part of the nuclear deal it signed two years ago. In its most recent update, the FATF noted that Iran’s action plan has expired with most items on its to-do list remaining incomplete. Ensuring adequate legislation and procedures to provide for confiscation of property of corresponding value. If Iranian regime does not meet these obligations, the FATF has the power to impose counter-measures punishing the regime, including restricting its access to international currency exchanges and electronic transfers. It was this kind of pressure that proved pivotal in bringing the mullahs to the bargaining table in the first place. Although Iran has left most of the required action items unfilled, the FATF has opted to hold off pending the Iranian parliament taking up these measures in draft legislation. Their outcome remains uncertain as the regime has dropped suggestions it may walk away from the nuclear deal anyway, including statements made by Iranian Deputy Foreign Minister Abbas Araqchi. And yet, while the FATF continues to press the regime to comply with its promises, the National Iranian American Council didn’t miss the opportunity to crow that the FATF’s forbearance was in fact some kind of endorsement of the Iranian regime’s actions. Predictably, the NIAC also called the FATF’s actions as standing up to pressure from the Trump administration. “By showing itself unwilling to give in to pressure from the Trump administration and outside advocacy groups like United Against Nuclear Iran, which were pushing for the re-imposition of counter-measures against Iran, FATF smartly avoided politicization of its work and protected its integrity as a technical body assessing countries’ anti-money laundering and terrorist financing laws,” the NIAC statement read. The NIAC said the Iranian regime had made “significant progress” in meeting the action plan, but neglected to note the disparity in how far the regime still has to go. For the NIAC, its only concern is to keep pushing the goal line back farther and farther to avoid crossing it and triggering new sanctions. Its failure to recognize the agonizingly slow pace of approval of legislation by the Iranian parliament as part of a larger scheme to not make any changes in its financing of terror demonstrates the charade of the NIAC’s positions. While the Trump administration has succeeded in focusing new pressure on Iran, Iran lobby groups such as the NIAC are now struggling to find any excuse to hold back the rising tide against its patrons in Tehran.